This beautiful 4 bed 3 bath home with a 3-car garage is a spectacular find! Upon entry you are greeted by both an executive study & an elegant dining room with direct kitchen access, making it perfect for all your entertaining needs! 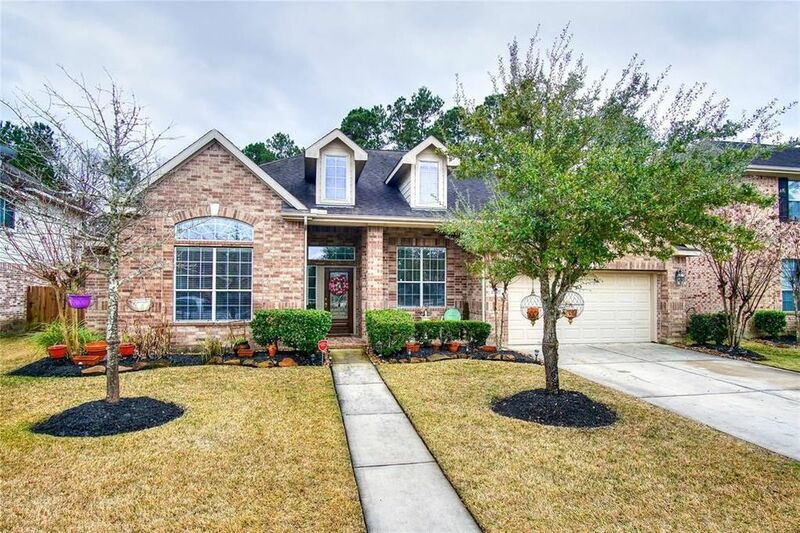 After passing through the entryway you come to a huge family room featuring tile floors, a recessed media niche, a cozy tile fronted fireplace & a wall of windows that shower the space in natural sunlight! Create your favorite meals in the gorgeous island kitchen equipped with silestone countertops, tile flooring/backsplash, a walk-in pantry, stainless steel appliances & tons of cabinet space! In the evening, withdraw to the spacious master suite complete with a vaulted ceiling & a luxurious master bathroom showcasing double vanities, a walk-in closet, tile floors, a whirlpool soaking tub & a walk-in shower! The home also has a large backyard with no back neighbors, plenty of green space & a large patio with both a covered & open section! Don't miss out!